The 6 Best Bagel Shops in North Dakota! 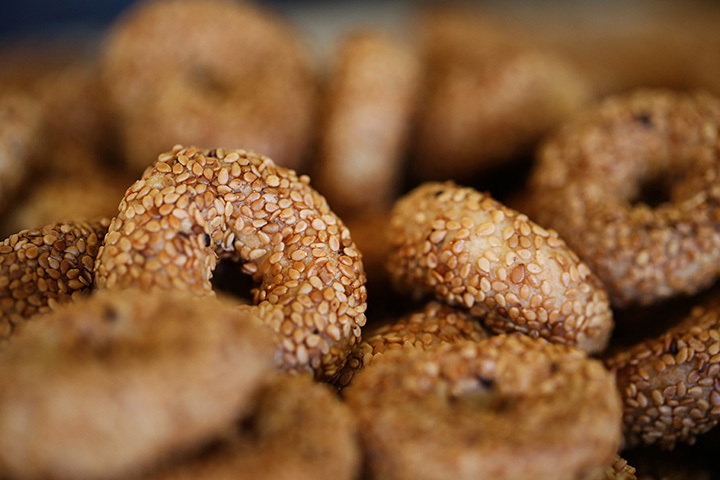 Bagels originated within the Jewish populations of 17th century Poland. Although originally slow to catch on in America, the bagel is now on of our favorite foods, and it is not just for breakfast anymore. North Dakota has a variety of bagel shops that are sure to have exactly what you are looking for. The very best in the state are as follows! Bajgiel, anyone? Open since 1995, Broadway Bean & Bagel is known for their “eggel,” strawberry cheesecake muffins, and delicious coffee. They serve a variety of bagels, from traditional to specialty, as well as several breakfast sandwiches. Gourmet cream cheese is also available. It is so good they sell it by the tub to meet demand. A Fargo staple since 2001, Boppa’s serves a variety of fresh, homemade bagels that will leave you questioning other bread options forever. The shop offers over 30 different varieties of bagels and 18 flavors of cream cheese. Boppa’s also offers a variety of breakfast sandwiches, coffees, and smoothies. With fresh bagels baked daily, a weekday lunch menu, and a weekend brunch, BernBaums has built a steady array of loyal customers. Whether you are interested in a sit-down breakfast or a bagel to go, a visit to BernBaums will leave you full and satisfied. Bully Brew Coffee is equally known for its delicious cup of joe as it is for their delicious baked goods. In addition to a wide variety of delicious bagels and bagel sandwiches, Bully Brew also specializes in breads, scones, caramel rolls, muffins, cookies, and bars. Just looking at Mandy’s extensive list and variety of bagels will get your mouth watering! Whether you’re looking for a classic whole wheat, everything or sesame, or something sweeter with chocolate chip, blueberry and cinnamon raisin, Mandy’s Bagel Bar has it! Try their delicious cream cheeses that range from jalapeno cheddar, to garlic herb, to spinach & artichoke. This spot is a favorite among locals. B.C. Bagels dishes up authentic, homemade New York-style bagels made from North Dakota milled flour and other natural ingredients. The cream cheese is made on-site, and the bagel sandwich selection is top-notch. While you’re here, be sure to try the always-refreshing coffee from Mighty Missouri Coffee Co.